Based on a long time family recipe, this chewy granola is prepared with local Palmer’s beautiful dark maple syrup from Port Stanley, ON, Clovermead’s Summer Blossom Honey from Aylmer, ON and local oats. In order to ensure her kids ate a healthy diet, Stephanie Brown created a special treat. She says, “Food needs to be healthy for my children and I didn’t want them to eat processed cereals for breakfast so this granola became a nutritious start to their day. They love the taste and I feel good about what they are eating! I am now excited that we offer it as a product to everyone in Canada!” Her partner Joe Preston and former MP adds, “The food business has been my life. Preparing food people want is important to me.” Customers agree with what these two foodies stand for. 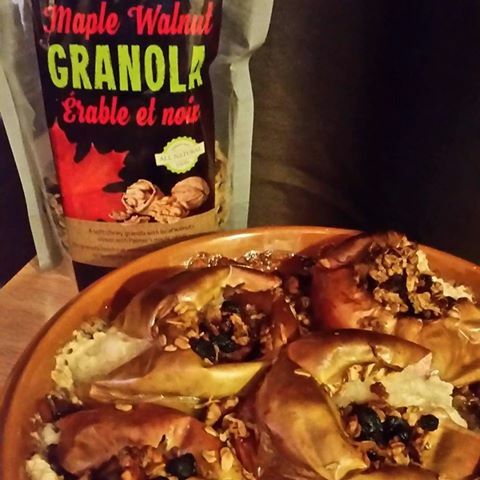 The company has been selling out every week of the two kinds of granola (Honey Almond and Maple Walnut) ever since these two business partners started at the local Horton Market in St. Thomas, ON and the Masonville Outdoor Market in London, ON on May 7TH, 2016. Both Joe and Stephanie grew up in Kent County where farming is a way of life there. “When we buy local, bake local and sell at local markets, we feel a part of the community,” Preston stated. Both partners are advocates for helping local mental health programs. 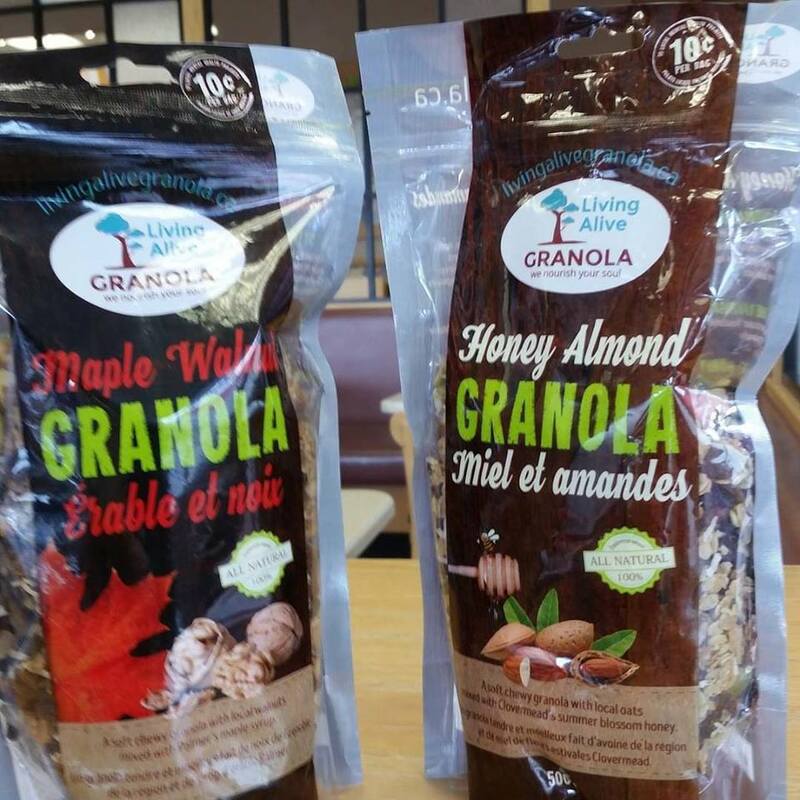 Living Alive Granola has pledged ten cents from every bag sold to make a difference in this important area. Whether you are just starting your day, going on a hike, or need a snack that is healthy and tastes great, this granola is perfect. 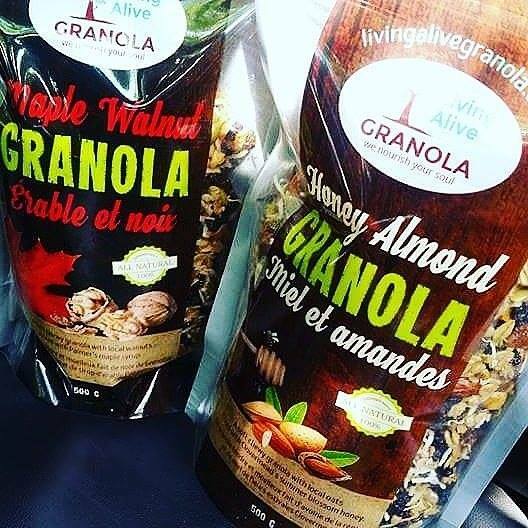 Order online for delivery anywhere in Canada at livingalivegranola.ca. Stephanie Brown and Joe Preston of Living Alive Granola are advocates for helping local mental health programs. #livingalivegranola pledges 10 cents from every bag sold to make a difference in this important area.